So sad to hear of the sudden passing of the great Beatles engineer Geoff Emerick, who mic'd the Fabs and ran the board for most of their seminal '66-'69 recordings. Ironically, before the announcement of his passing late yesterday evening, I was in my car listening to "Paperback Writer" on the Sirius Beatles channel, and thinking to myself how that was the first of their records to be released with Geoff as the chief engineer! I see on his Wikipedia page that many of his recollections in that book were later challenged by other participants, including Ken Scott in his own autobiography. They sound like two fun reads - I'll have to seek them out! No! This one hurts. Geoff was one of my biggest influences and inspirations as much as anyone in the position of recording music...Loved that guy's work. 20 years old and he's recording "Revolver". 21 and he records Sgt. Pepper. His book is a must read...But in all fairness, anyone in the entertainment business including the tech people like Geoff and Ken could have that listed on a "Wikipedia" page about having info challenged by other participants. Par for the course. I'm still shocked to wake up to this news, I didn't hear about this until reading this thread. Would like to discuss Geoff Emerick a bit in this thread, and especially his position in the history of the Beatles and recorded pop music of the 20th Century overall. What strikes me, and what I introduce to my students who have an interest in recording and the Beatles' music, is the overall good fortune in the timing and the way everything lined up with Geoff and the band. It went beyond just them working together, and extended into some sheer coincidences on specific sessions and tracks that perhaps could be called "happy accidents" to borrow a phrase from Bob Ross. More on those later. But with Geoff...here was a kid, yes - a kid - who according to the UK school system had to pick a trade at a certain age. Geoff's interest was recording music, even in his younger teen years. He'd mess around with a tape recorder as so many other budding engineers and producers would do, and that led him to the offices of EMI through connections at his school who "knew people". But ultimately the people who interviewed him at EMI saw a spark, or saw something that led them to bring him on the staff in the usual ground-floor, menial kind of work. However, it was not what the studio system has been for years where interns do everything from picking up clients at airports to getting food to swabbing the deck in the bathrooms. The young Emerick was serving an apprenticeship more or less, copying tapes, doing various assistant work, cataloging tapes, all of that. The term you'd work up to would be "second engineer" after these apprenticeships. "Button pushers" as the staff at Abbey Road called them. You might be assigned to cutting reference acetates on the lathe as you climbed up the corporate ladder. If you had a particular skill that would come out, you may be assigned as an assistant disc-cutter, or similar task. Now consider that EMI had a very old-fashioned, very straight-laced and stuffy system for their staff at that time. Still rooted firmly in the classical world, where conductors would attend sessions in black tie and tails, and the musicians would be in evening dress in the studio. All the staff had (and was supposed to know) their place. The engineers who may have had to work up for two decades to attain the position of engineer would wear white coats, ties, etc. The blue-collar workers would were drab work clothes. Those in between would have similar status attached to their jobs and their attire. It created a situation where if some piece of equipment like a tape machine broke down, the white coats would call it in, and the blue work clothes staff would have to come to wheel it out, whereby the tech staff would go to work repairing it, and so on and so forth. Emerick described a surreal scene when some new piece of gear came to Abbey Road, but instead of installing it, the white coats and the blue work clothes and other assorted staff formed a parade of sorts as they pushed this thing down the hall...like a ceremony or something, borne out of some old fashioned UK status system still in place at the studio. So anyway...on to the point...The Beatles were looking for changes as 1965 turned into 1966. Their main engineer who they had developed a rapport with was Norman Smith, and he was leaving his job as engineer to produce instead, and develop artists. One of his first "finds" would be Pink Floyd. So the band needed someone new, but they were also bristling a bit at Abbey Road and EMI's stuffiness and systems which they felt may have been holding them back. They looked elsewhere. In a lesser known chapter of Beatles lore, they actually reached out to Stax Records in the US, specifically Steve Cropper with the idea of recording there. Stax was a hot studio, and the Beatles loved the sounds they were getting on those records...heavier bass, punchier drums, etc. Abbey Road/EMI had all these rules about meters and levels and plugging in gear...Yet the band would get a new Stax release and hear all this bass thump and punch that they perhaps thought they weren't allowed to do at EMI. So Cropper and Stax was contacted...offers were made...and The Beatles obviously didn't work at Stax or with Cropper. What came out later was they felt Cropper and/or Stax was trying to hustle them financially because of their popularity...but more on that for those interested at another time. Just keep in mind that the Beatles were seriously entertaining traveling to Stax in Memphis to cut records with Steve Cropper had the deal not been something where they felt rooked. George Martin and the EMI folks had to bring in an engineer to work with The Beatles. The normal process was to pick a guy who had paid his dues, worked for years doing this job or that, only to attain the coveted engineer seat. Enter a 20 year old kid named Geoff Emerick. the Beatles, particularly Paul, had gotten to know Geoff as early as 1963 when he was still apprenticing. So they knew him to a point...but normally a 20 year old kid would not be in line for one of the most coveted positions in the engineering field as of 1966...recording The Beatles. Now they (EMI/Abbey Road) had to do something *big* to woo the band into staying with EMI/Abbey Road because they knew the band was not happy and had been looking elsewhere for studios. Put yourself into the position of a 20 year old kid who was just promoted to first engineer for the Beatles...above other perhaps more worthy EMI staff who had been paying their dues and climbing the corporate ladder...and not just that, but they needed someone to essentially win the band over. And this 20 year old kid with a mind full of experiments and ideas he was burning to try on recording sessions stepped up and did it that day. Blew the band away, specifically Lennon who didn't show excitement or give praise too freely, and they went on to do Revolver, as well as the Paperback Writer/Rain single, in the near future of 1966. Testament to how good Geoff Emerick was at his given trade, and credit to his mind full of ideas that they happened to mesh ***perfectly*** with the band he was assigned to when they too were bursting with creative ideas. There were no limits to the ideas, and here were the Beatles with an engineer with no preconceived notions of what the regulations said - If the band got an idea, if he got an idea, they'd try it. No limitations...rules and regs be damned. And the timing of how all this came together is what amazes me to this day. I'd really enjoy reading other posters' lists or thoughts on specific songs or mixes from Emerick's career, and how they may have influenced others in their own recording activities, or just simply enjoying the music and sounds. Revolver, Sgt. Pepper, Magical Mystery Tour, Abbey Road. Penny Lane/Strawberry Fields. Paperback Writer/Rain. All You Need Is Love/Baby You're A Rich Man. Hello Goodbye/I Am The Walrus. Seriously, does the list need to go beyond those? The albums and singles listed above are and will be considered among the defining releases of rock and pop music from now to the point where music no longer matters. Those works are among the Rosetta Stones of popular music. The sounds the man got on Revolver pretty much defined a large chunk of what rock and roll recordings sounded like in subsequent decades. Everyone knows those sounds even if they do not know the ins and outs of recording music and studio techniques. They're part of the popular culture. Then factor in what he did post-Beatles. The sounds he recorded and mixed were always superb. For me it's hard to pick one or even ten examples of favorites. For me going back to when I first became conscious of and obsessed by sounds on records, "Strawberry Fields Forever" was the landmark. "A Day In The Life", the textures and mixing he did, and especially the editing which was done so well most fans wouldn't know there were edits unless they read Lewisohn's book, were incredible uses of studio technology and techniques. "Penny Lane", I always loved, but in recent years it's hard to watch the promo video and hear the song without getting emotional as time marches on and youth slips away. "Here Comes The Sun" is a masterpiece, a superbly clean and incredibly nuanced recording. The best we can do is pass along the goodness to new listeners. I keep coming back to "Hey Bulldog" though. Emerick said it was one of the last truly great group efforts, where the guys were in the studio having fun the whole time. I heard it first on an 8-track my Dad got me of "Rock And Roll Music", one of those 70's Beatles comps that Capitol made a fortune with. Hey Bulldog was the standout...Just a truly great track. Listen to the bass and drum sounds...THAT is Emerick. And coincidentally, those sounds were a trademark which would influence so many recordings to come. Guitarfool - Fascinating posts regarding Geoff Emerick's early years and work with the Beatles. Thank you so much for posting. I'm up for even more info about Mr. Emerick if you've got more to share. Indeed, Emerick's contributions were very important, and his book is definitely a good read if you're a Beatles fan. My only reservation with it is the degree to which he seems consider himself the '5th Beatle', but I don't want to bad mouth the guys as he was clearly great. My copy of his book arrived yesterday. Two mentions of The Beach Boys - and I find the first rather odd: "One of Paul McCartney's favorite albums of 1966 was the Beach Boys' Pet Sounds, and he often played it on his portable gramophone during breaks, so it wasn't altogether unsurprising (sic) when he announced that he wanted a "really clean American sound" on the next song of his to be recorded: 'Penny Lane'. I'd spent a lot of time mastering American records, and I was convinced that the best way to give Paul what he wanted was to record each instrument totally on its own so there would be no leakage (or 'bleed', as it was known) whatsoever." Odd, because that "separated" style of recording - layering each instrument one at a time, removing the "bleed" - is the exact opposite of how Pet Sounds was actually recorded, or sounds! I've been running that quote in my mind for all the years I've had Geoff's book, trying to decipher it, and I think I may be close...unfortunately Geoff is no longer with us to clarify. I've written a lot about the similarities between Brian's "Wouldn't It Be Nice" and "Penny Lane" as recently as a few weeks ago. They are absolutely related if you listen to both back to back, and note especially the way the bass lines move in conjunction with the melody above. And, note the shuffle rhythm being stated by accordions and keyboards in Brian's case, and by Paul's overdubbed keyboards on PL. But that bass *tone* of McCartneys...If I'm mistaken, call it out, but I believe Penny Lane and other tracks recorded during the same months that would end up on Pepper and beyond have the first instances of *that tone* which defined Paul's bass playing in 1967. And, beyond that, this is the time which was perhaps his most influential period as a bassist. A lot has been written and even spoken by McCartney himself about the influences, one of the main ones being the bass parts on Brian's BB records alongside the guy who influenced all bassists, James Jamerson. McCartney specifically said his parts like Michelle, where the bass starts on, say, a 5th of the chord rather than the root came from Brian's records and those from James Jamerson with Motown. Paul was always a very creative and fluid bassist, but when he got into this aspect of creating lines, he really flourished. That's one element of this. When the plans to actually go to Stax to record fell through, enter Geoff Emerick. The Paperback Writer/Rain single gets cited often as a breakthrough because Emerick broke the rules to record those tracks, namely Paul's bass. Paul had this giant speaker cabinet which he dubbed "The Coffin", which he had to get deeper, more resonant bass tones. What Emerick did was reverse the wiring/polarity on *another* speaker cabinet (which creates a dynamic microphone in tech terms, where the speaker becomes the microphone element rather than a speaker) and jammed The Coffin and the reversed speaker cab together...and that was McCartney's more present bass tone. So that worked...But if you listen to Revolver and related singles, even though McCartney was using his Rickenbacker more often, and even though Emerick was recording it differently, it still had elements of too much thumpiness, thuddiness, and not too much definition. Compare that to the records Brian was cutting around this same time. It's a signature sound of his, that amazingly present bass tone. It's right in your face on those records, and treated with various degrees of reverb and slap echo. So in LA there were the likes of Carole Kaye, Ray Pohlman, and Joe Osborn playing these bass parts almost exclusively on Fender basses, using a hard pick rather than the traditional bassists' felt pick, and in at least Carole Kaye's setup, playing the bass through brighter, more present Fender guitar amps. It was a signature sound, that picked bass that was up front on those mixes. Like a driving force of the texture and groove on those cuts. Name any one example and there are 2 dozen more easily. Both Carole and Osborn specifically made a career calling card from that specific Fender Bass studio sound. Now enter McCartney, Fall '66 into '67, after the Beatles quit the road. He had the Rickenbacker bass, he had the pick, and the tone would soon follow in collaboration with Emerick's studio work. Most of these tracks are now starting to sound like the Kaye/Pohlman/Osborn "American" sound regarding the bass. Emerick describes in other areas of his book how this was the time when McCartney would often stay late after the others had gone to do his bass tracks, alone with the engineers in the studio. Often the bass part would be one of the last tracks added to what were already "full" mixes full of bounces, collapse mixes, dubs/edits, etc. This way, not only would the bass stand out more in the mix, but it allowed Paul to weave lines in and out of the other parts on these tracks, creating counterpoint, fills, etc that complimented what had already been tracked. The bass - and its tone - became more prominent both tonally and musically, and on Penny Lane, Pepper, and beyond, again...there is *that sound*. By isolating McCartney's bass parts, by recording them later in the process rather than along with drums/guitars and other basic rhythm tracks early in the process, and by further refining that tone to sound more like Brian Wilson's sounds than what Paul had been doing previously, combined with the Jamerson musical influence (noting Jamerson's P-Bass and flatwound tone was very thumpy), there was the sound they had been wanting. So McCartney's bass - The way they got there was most likely using their own trial and error methods to cop that LA sound not knowing how Kaye/Pohlman/Osborn and all the engineers and producers were getting it technically. It worked! I think the "clean American sound" in the book refers to Paul's bass tone specifically. "Penny Lane" was the record where this tone really jumped into the forefront, where it was a new tone for Paul, and everything else that year followed suit. The wording in the book could have clarified this a bit more. And it's no accident Penny Lane shares a lot of similarities with the lead-off track on the album that Paul was spinning on his record player at Abbey Road during these sessions. Definitely. Lately I've been working on a song which when I first completed sound too much like Wouldn't It Be Nice so I tweaked it a bit and re-arranged some parts and then it came out sounding too much like Penny Lane. So I re-arranged it again and then it sounded like Care of Cell 44. Those three songs are not identical triplets but they are definitely brothers. Yes, I agree that Macca's bass sound was "Americanized" at that point, but in te paragraph I quoted, it sure seems like Emerick's talking about wanting to get the sound of the entire track "clean" like American records. He goes on to describe how they achieved that on "Penny Lane" in particular: recording each instrument individually, starting with the piano by itself, then doubled, tripled, quadrupled, before starting to add the other instruments individually. Definitely NOT how Brian was recording at the time. So, I think Mr. Emerick either melded some memories together, or wasn't clear enough in relating how Paul's love of Pet Sounds AND other American records of the era (many of which DID sound very clean in comparison to their English contemporaries) all influenced the creation of "Penny Lane" and Sgt. Pepper. 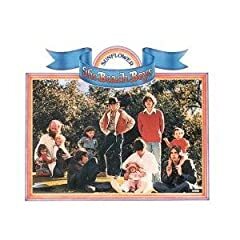 In other words, the influence of "Wouldn't It Be Nice" shows up on "Penny Lane" in the bass sound, the shuffle rhythm, and the chordal construction (and maybe the use of orchestral instruments), while the influence of other Pet Sounds cuts shows up elsewhere, on Pepper (the bass harmonica on "Mr. Kite", the vocal backgrounds on "Lovely Rita", and - as once pointed out by Roy Carr and Tony Tyler in their book "The Beatles: An Illustrated Record" - the use of animal sounds at the end of "Good Morning, Good Morning"). Meanwhile, the in-your-face "clean" sound of other American records, like those released by Stax/Volt, shows up in the way they recorded instruments separately with absolutely no bleed-through. The "sound" of Stax/Volt records as of 1966 into 1967 was due in large part to the house band with additional horns and whatnot playing those songs live in the studio as a group, bleed-through and all. Stax, and Motown, was definitely not separating tracks in how they recorded, and a lot of those signature sounds were because of having the various house bands letting rip live in the studio versus building and overdubbing. So if the idea was to grab the sound of those records from those labels, building and stacking was definitely not how to do it. The bleed-through and interplay is what made those records sound electric. I'm picking my brain trying to think of late-65, '66 vintage Beatles records where they went for a Stax/Volt/Motown sound in their songs, and I only come up with two: Drive My Car, and Got To Get You Into My Life. Drive My Car is a classic track, but when you listen it's like someone lopped off all the bass frequencies! It's all mids and highs after Macca's bass intro figure, which is played high on the neck anyway. So that's a clear attempt to cut a Southern Soul/R&B tune, only there's no bass, or thump in general. GTGYIML, again a great track, but it's more Stax than Motown (as a lot of people claim it's a Motown influence), and even here it's lacking a lot of thump, and if you listen the various limiters and compressors are turned up to 11 on nearly every individual track...which is an Emerick thing, and which gives it a very cool texture fitting for Revolver, but it's not close to the sound of a Stax studio record. So that's two songs prior to Penny Lane that were sounding like Stax/Motown direct influences, but whose sounds don't come close to either. What I would suggest is that Brian was indeed recording *individual sections* of songs using the method as Emerick described on Penny lane at least by or in the Fall of 66...and prior too. The stacking method: Replace the keyboards on PL with the way Brian was stacking vocals on Pet Sounds and others, by himself building one on top of the other, and it's the same method...only vocals versus keyboards and Brian versus Paul on Penny Lane. Most people may have first heard this with their own ears when they tacked on "Don't Talk" and those harmony sessions to the first Pet Sounds CD reissue. Further into '66, "Wind Chimes" and that tinkling piano section described very well by Michael Vosse in at least two sources is *exactly* what it sounds like Emerick described with Penny Lane. Brian took keyboard after keyboard, different types and timbres, and stacked one after the other to build the track, at least that section of the track. Yes, he was still packing the studios with live musicians for backing tracks, but just the same he was also doing segments and sections where he'd do these stacks on his own, during the Smile sessions. I'd point to some of the various Heroes segments too. Also consider Brian had a luxury the Beatles simply didn't have all the way throughout 1967 into '68 : an 8-track recorder. The closest they could get was synching two 4-tracks together for only the Day In The Life orchestra session, and even then they couldn't get the machines to sync again when it came time to mix. Brian could head to Columbia with his bounces and reduction mixes and have at the minimum *6* fresh, open tracks to play with. To the Beatles and Emerick in '66/'67, that would have been a luxury. All they had was 4. So what that means technically is the fidelity on some of those later tracks added would be much better: Without getting into the tech too much, the more you bounce, the more frequency range you lose, whether bass or high end. If I recall, the Abbey Road guys actually built various EQ's and boosters to compensate for these losses as the Beatles kept adding more tracks and needing to bounce them down or do reduction mixes to add more. It affects the sound. So when Brian would do things, even in '65, like add Carl's guitar solo on Help Me Rhonda at the last moments during a final mix session, it would jump out of that mix and be present as all hell...bursting through those AM speakers. Same with other, various parts added late. On top of the fact he could have all those open tracks the Beatles did not have to add and stack vocal after vocal, and maintain all of those frequencies, creating that magic or "sparkle" that cut through the speakers. I think a combination of either hearing about those methods, asking, witnessing them, or just plain trial-and-error reverse engineering and guessing how this stuff was done led to things like Macca's bass going on last, and the "stacking" methods of building tracks versus having a band playing live. I know I'm missing some stuff, but as much as I wish Emerick had expanded more on these issues and clarified some things (maybe he did and it got cut from the final edit? ), if the band wanted a Stax sound it wasn't done by separating instruments and eliminating bleed-trough, in fact quite the opposite. But if Brian's Wind Chimes piano stacking, along with various other segments to go with his full-studio band tracks were a guiding force of some kind to build on, that's what they did with Penny Lane. And short of having 8 tracks, doing things like adding bass at the end of the process versus the traditional ways of tracking "bass and drums" first as the basic track to build on was a way to bring out more definition and make the Beatles records sound closer to those "American" records Paul and the guys kept going on about wanting to sound like. Postscript: The only time the Beatles would come close to how a Stax session was cut would be the Sgt Pepper Reprise, when all four of them were actually in the studio together with their instruments, letting it rip live. So yes, there are some contradictions and I wish Emerick had expanded more on these things. Wonderful thread, great info, guitarfool. I just ordered his book for my kindle. My dad actually read his book a few years ago and I remember him telling me it was a great read but he thought that Geoff went kind of hard on George (Harrison not Martin) in the book. Anyways, curious to read it myself. I remember reading a recent interview with ringo and he mentioned that only George Martin could push the record button and none of the beatles ever pushed it. I thought it was kind of funny. It is a terrific read, one of my favorite music related books! I have to say I was at first a little surprised at some of the passages related to George Harrison. It was a pretty widely held opinion among readers that they felt Geoff was a little too harsh on Harrison. However, taking Geoff's angle for discussion, perhaps they had a falling out or just didn't see eye to eye personally? I got the feeling there was more personal stuff that led to the depictions in the book, and it could be chalked up to either Geoff simply giving his take on what he actually saw firsthand, or it could be that mixed with the personal feelings coloring his writing. On the other hand, you might also get the feeling Geoff was very positive in his descriptions of Paul McCartney, and in that case it's no surprise. He and Paul developed both a personal friendship and a pretty tight working relationship for the decades after the Beatles, where Geoff often worked with Paul on his solo projects. I remember when MTV aired the McCartney "Unplugged" episode, I was psyched to see Geoff behind the mixing board! And you'll read in the book how in the earliest interactions Geoff had with the band at Abbey Road, when he was still apprenticing as a teenager and the band had yet to come to the US, it was Paul who took the time to interact with Geoff, talk to him, and even ask for his opinion. Whereas the others were more aloof if not ignoring him completely as one of the staff rather than talking with him. So I'm sure that stuck with Geoff, how Paul went out of his way to be cool and talk to him in those very early days. So I guess it has to be taken into consideration how strong friendships and conversely, perhaps some negative personal interactions, might have colored the writing of the book. Sometimes to a fault. One thing to consider, and I have the magazine interview in question: After the book was published, Geoff gave a pretty detailed interview to a recording magazine. In that interview, they went deeper into the "Anthology" reunion recording sessions, which Geoff was involved with. And in this interview, Geoff had the highest of praise for George Harrison, in fact his memories of those sessions caused me to hear the track "Free As A Bird" in a totally different light, regarding George's guitar work on that song. It totally changed my perception of it, and every time I hear those guitar parts I get a little choked up based almost entirely on what Geoff said about it. So it wasn't all negative. What I will add, and this is my take only: In recent years surrounding all of the latest hoopla about the Beatles reissues and remixes and remasters and all of that...from reading and hearing his thoughts, it felt like Geoff was a little miffed that he was not more involved hands-on than he was. And I think that is a pretty valid gripe, considering how he was one of only a very, very small group who was actually in on the process and alive to speak about it. I mean, his handwritten notes are on the various track sheets and tape boxes...and he's not involved in the process of working with those same tapes for these new releases? That to me squashed my enthusiasm for these projects. Don't get me wrong, Giles Martin does terrific work. But. It leaves me wondering if there wasn't some kind of inner politics thing happening to shut Geoff out of working with the tapes he himself worked on with his own hands, and could probably spot every edit and tic and fader movement on those tapes. So there's more to all of it, and of course personal experiences and feelings will possibly enter into the various retellings of these things. Which recording magazine has that Geoff Anthology interview? TapeOp, Jan/Feb 2007 issue. That's the one I had in mind, but I seem to recall Geoff spoke about this in another published interview too, I can't recall where that was. HE SOUNDSCAPEd THE BEATLES !